Welcome to my Antenna page, here you will find information about the Antenna equipment I am currently using, items that work well and some that have not. There are several designs around for a HF link dipole. This is just one of many. 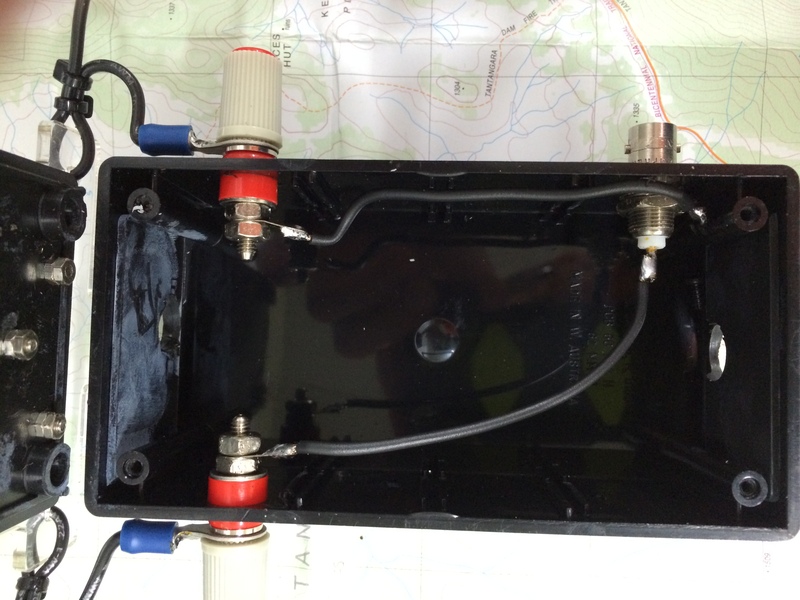 I am often asked what antenna I am using when activating a summit well here it is! I decided to make this multiband dipole to suit my needs. One afternoon whilst activating a summit one of the chasers mentioned he was changing to the 6 metre band since it was active to Japan. Being an avid 6 metre operator I was somewhat disapointed that I had to miss all the action since my portable SOTA dipole was only cut for the 40 and 20metre bands. No way was I going to be caught out again so it was back to the workshop to make portable dipole version II. 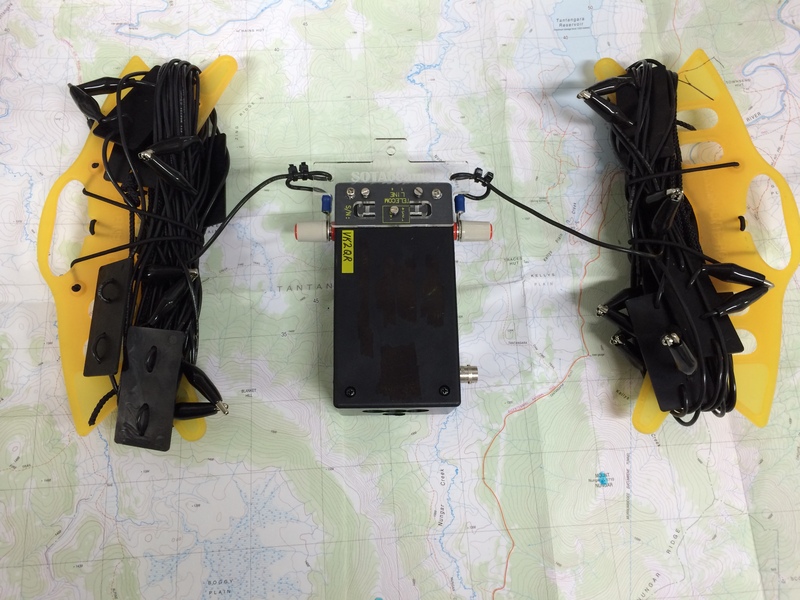 Thinking about the bands I would like to try from summits brought me to the conclusion, why not make an antenna which is managable, light and short enough for transport but able to work effectively with no tuning required. 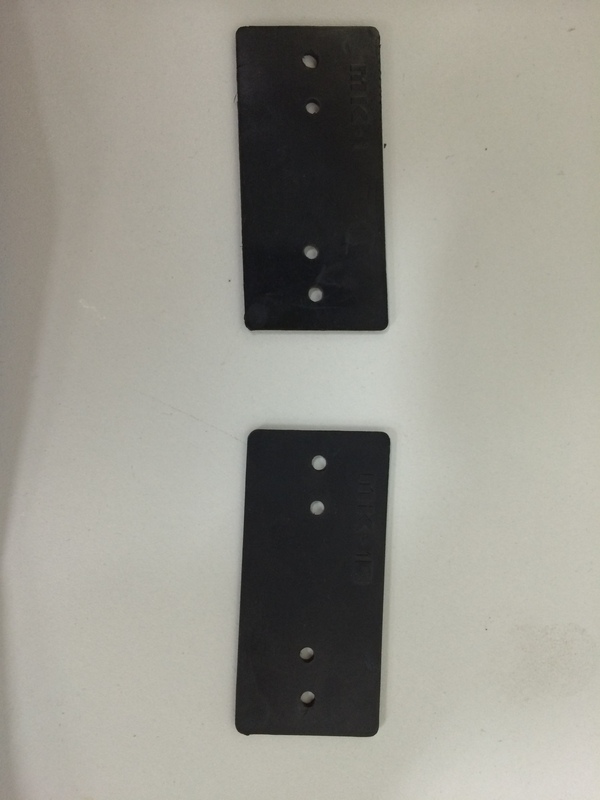 The information provided here is for those who wish to duplicate this antenna, to achieve similar results the measurements and materials should be followed closely. The measurements provided represent a single dipole element; they take into account the 100mm lengths of wire inside the termination box and the extra length for the crocodile clip. Once measured place enough wire through the insulator to allow the croc clips to connect easily now solder them in place. The included photos should provide enough information to complete the project. Note the BNC connector is mounted to one side of the zippy box to allow for the squid pole to pass through easily. No balun used, only ferrite suppressors on 14m of RG-58/ RG-174 coax feeder. 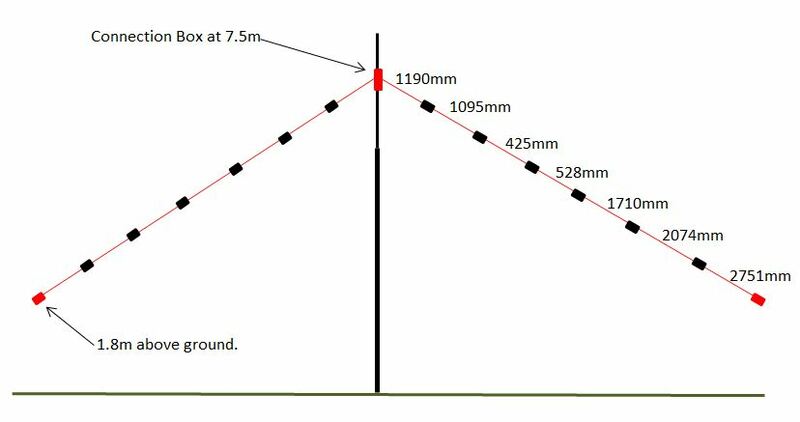 For best results lowest band insulator should be 1.8m from ground when dipole centre is at 7.5m, however in practice the antenna still performs well with the ends as low as 500mm from the ground. 8m x Venetian blind cord. 2 x ferrite clip-on suppressors, 5mm inside diameter. 10x small plastic zip ties. Formula to calculate single element length for inverted V dipole. Depending on wire diameter and configuration some adjustment to length will be required when using this formula. Note: The measurements listed in this diagram were calculated from the above formula, they have already been trimmed for a working antenna and do not need any adjustment. Looking inside the zippy connection box, BNC connector mounted on one side to allow the squid pole to pass through easily. The wire length from the banana post to the connector is 100mm. The insulators (28mm x 60mm) were made out of draw dividers from electronic component draws I had laying around, you could use any insulating material such as fiberglass circuit board. Hole size is 3mm. Completed antenna mounted on squid pole ready for deployment. 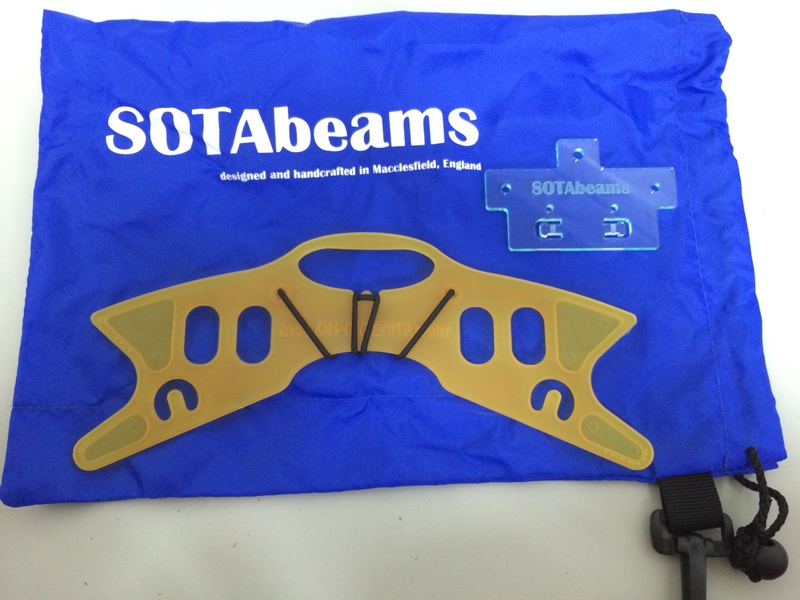 SOTAbeams plexiglass dipole centre, wire antenna winder and large bag very handy and cheap!